Showcasing Local Food Vendors, Celebrity Chefs, Musical Performances, Food Competitions + More! 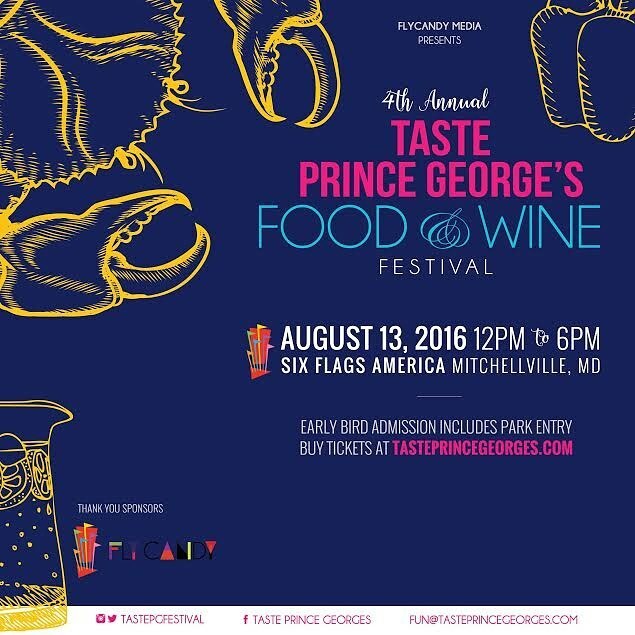 Mitchellville, MD (July 30, 2016)- The 4th Annual Taste Prince George’s Food & Wine Festival will take place at Six Flags America located in Landover, MD Sat, August 13th from 12-6 PM. In its 4th year, the festival will continue to deliver attendees with tasty food and delicious wines to sip, but also include family fun! Activities will take place at the Family, Fun & Food Zone located in the Water Park at Sunset Stage and at The Celebration Stage which will feature Competitions as well as Celebrity Chef Demos & Wine Tastings. Leading up to the Taste Prince George’s Food & Wine Festival, there will be several events with Michel Wright of MAJIC 102.3 called “Michel Wright on the Move” sponsored by Metro and Radio One where Michel will host "Tasty Pop Up Restaurant Spotlights." These pop-up events are to highlight Prince George's Counties finest establishments while encouraging attendees to "Ride Metro" when planning a night out on the town! 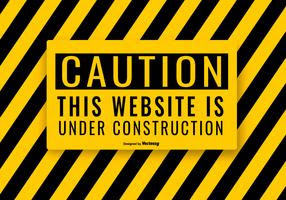 The Pop-Up will feature participating Taste Restaurants and will broadcast LIVE on Facebook. Michel will pop in and sit down with the General Managers and Executive Chefs, while enjoying food/wine tastings, and attendees will have a chance to win tickets to the festival. Some added bonuses to the Festival is the 2016 Tastemaker Awards Presented by County Executive Rushern Baker, the Taste Prince George's Food & Wine Festival 2nd Annual Collegiate Culinary Competition, along with the 4th Annual Wegman’s Prawn Eating Competition and introducing the newly added addition of the Sauce Lab! The Taste Prince George’s Food & Wine Festival is also proud to announce a few of the hosts, performers and chefs participating this year. Hosting on August 13th, will be Michel Wright (MAJIC 102.3), DJ Flexx (WPGC 95.5), Michelene Bowman (Creator/Host of Meet Me Monday), Chef Daniel Thomas (Chef to the Power Elite) and the featured Celebrity Chefs will be Suga Chef and Chef J Jackson (“Mr. Foodtastic”). For the performers, Taste PG is proud to announce their partnership with SoulBounce who assisted with the curation of the very vibrant stage! Some of the 2016 performers will be Tray Chaney, Aaron Abernathy, Ellis Lambert, Allison Carney, Reality TV, Wisdom Speeks + More! 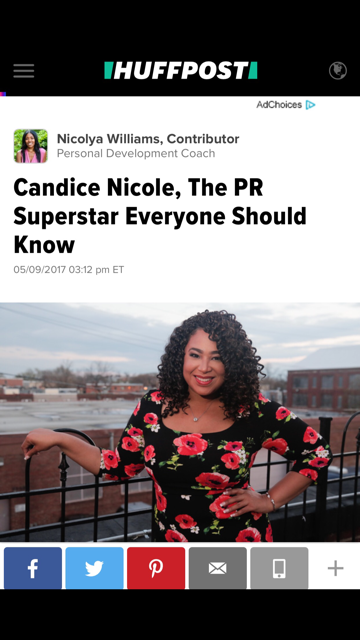 If you’re a media outlet interested in covering the Taste Prince George’s Food & Wine Festival, please send your inquiry to Candice@CandiceNicolePR.com. Taste Prince George’s Food & Wine Festival is a one day event held in the heart of gorgeous Prince George’s County Maryland. Taste Prince George’s Food & Wine Festival is Prince George’s Maryland’s Most Celebrated Foodie Event and exists to celebrate the best in food, wine, entertainment and culture!